Employee safety is # 1. As more and more projects demand technicians to be OSHA trained, we employee a full-time certified safety director. Our programs have allowed our employees to work effectively which in turn lower our insurance premiums which allows us to be a more competitive company on pricing projects. Training for personal fall protection, scaffold erection and dismantling, respirator fitting and other job-site safety issues; weekly safety meetings, on-site safety training and periodic safety inspections all contribute to our first-class safety program. There are many options of waterproofing systems and products. N & S Waterproofing has a combined experience of over 40 years in the caulking and waterproofing industry. We employee only experienced technicians who work safely and effectively. 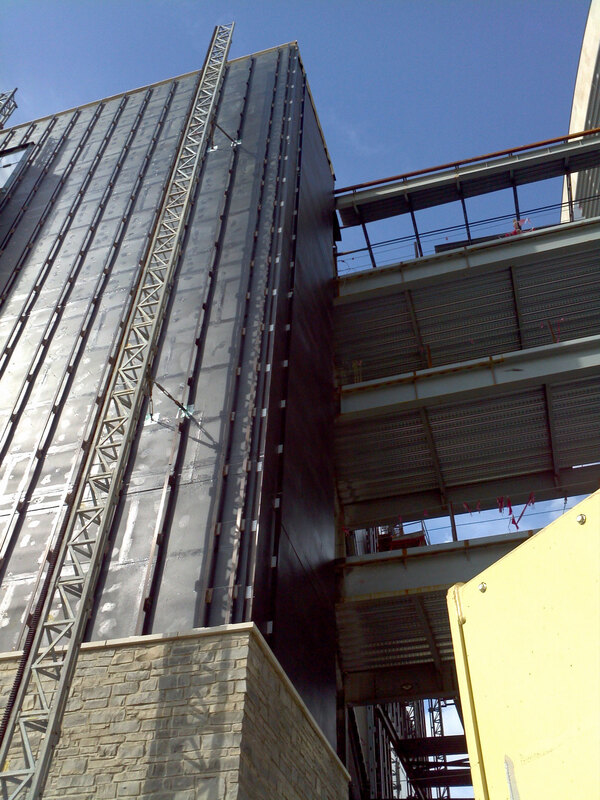 This allows N & S Waterproofing to finish the project ahead of schedule and under budget. We know that when it comes to the specialty construction industry there are plenty of companies to choose from. N & S Waterproofing keeps up to date on all the latest trends and participates in industry associations, seminars, meetings, and training sessions. We strive to provide outstanding customer service at all levels of a construction project while maintaining open lines of communication with customers and manufacturers. We provide free estimates and provide budget pricing on all construction and rehabilitation projects.